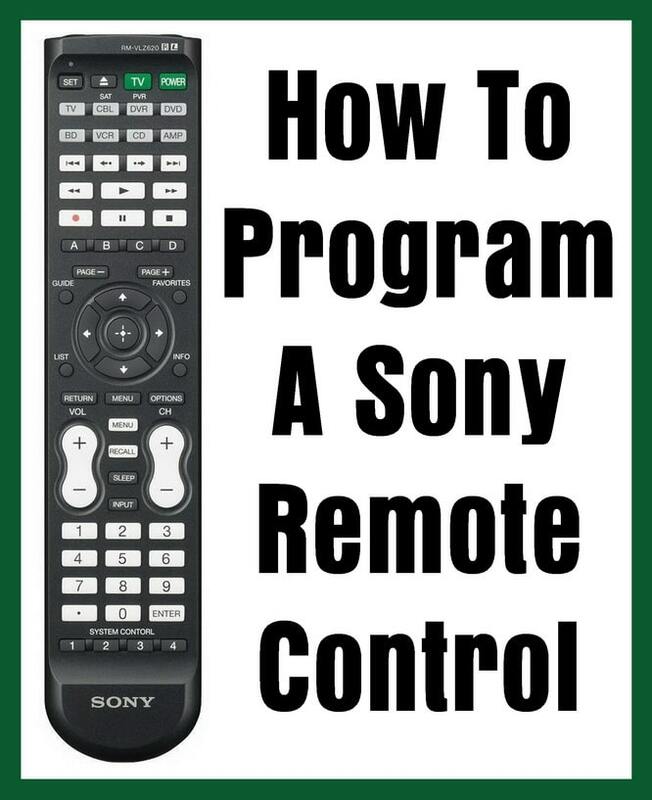 Turn on the component to be programmed by your remote. Press the SET button on the remote control. Press the component button for the component being programmed. Using the number keys enter the component’s 2,3,4, or 5 digit code. Point the remote control at the component. Press the POWER button to verify operation. Sony universal codes are: 0128, 0013, 0002, 0071, 0380. If this does not work then repeat the procedure. Enter one code at a time until you find one that functions.